It keeps you awake when you need that extra focus at work, and prevents the onset of any tiredness, but what is it? and where do you find? It is also added as an ingredient to popular soft drinks and energy drinks. 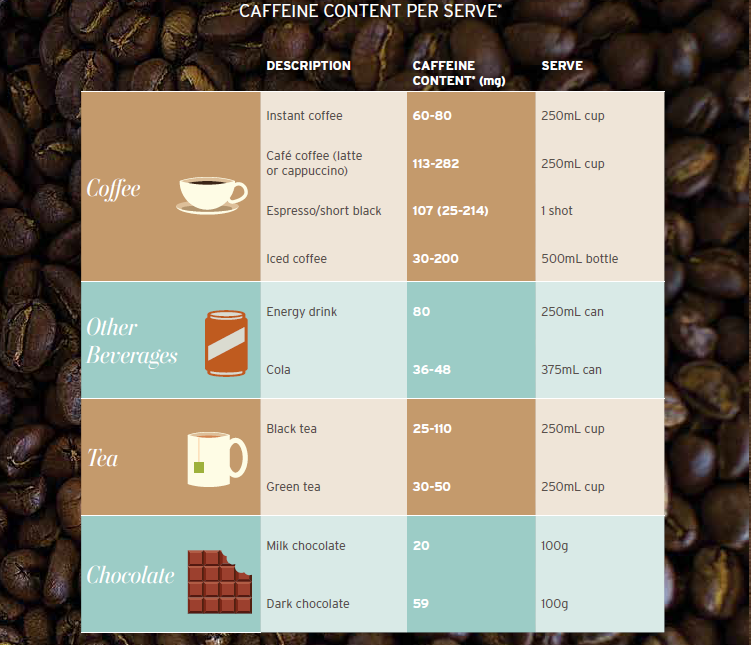 See Table on the below for caffeine content of popular foods and beverages. INTERNATIONAL ROAST is made from a blend of quality coffee beans to give you a mild tasting coffee with smooth, well rounded flavour. Coffee is one of life’s greatest pleasures and continues to be one of the most consumed beverages in the world. Here we are busting just some of the myths that surround coffee!